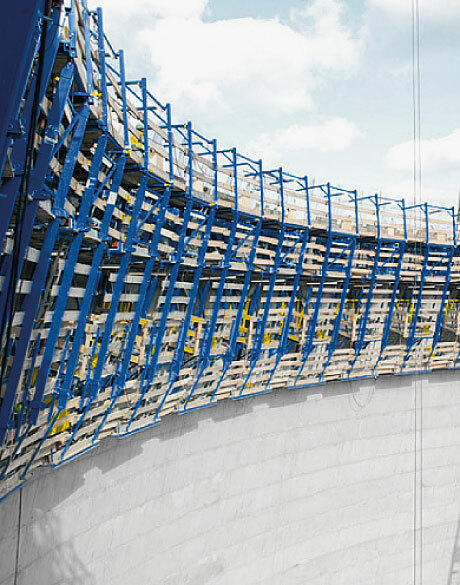 This cooling-tower formwork is a fully mechanised, self-climbing large-area formwork system. It maximises rationalisation and minimises manual labour – after a short familiarisation period, the crew will soon be accomplishing the casting sections in a 1-day cycle. 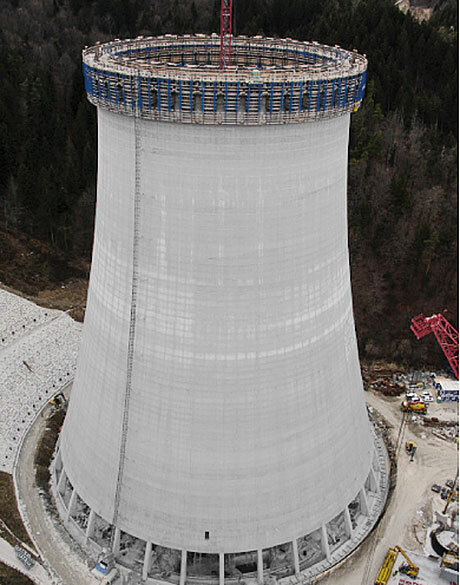 This special cooling-tower formwork for hyperparaboloidal natural draught cooling towers was developed in the course of several years' work on the basis of the Automatic climber SK175. The high capability of this system has been confirmed by its use on very many construction sites. The permanently mounted telescopic platforms ensure that there is an uninterrupted circumferential walkway all the way around the cooling tower at all times, even during the entire climbing operation. This detail makes a crucial contribution towards safe – and thus troublefree – working. 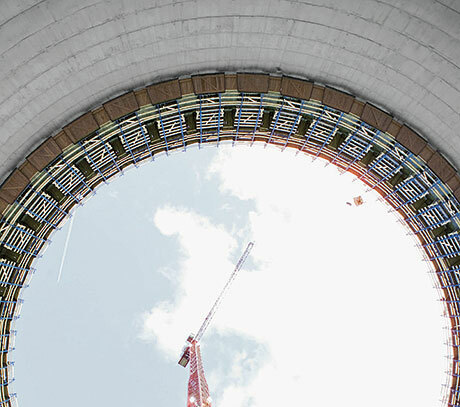 Down to a vertical radius of 70 m, the cooling-tower formwork can climb through curves unhindered. 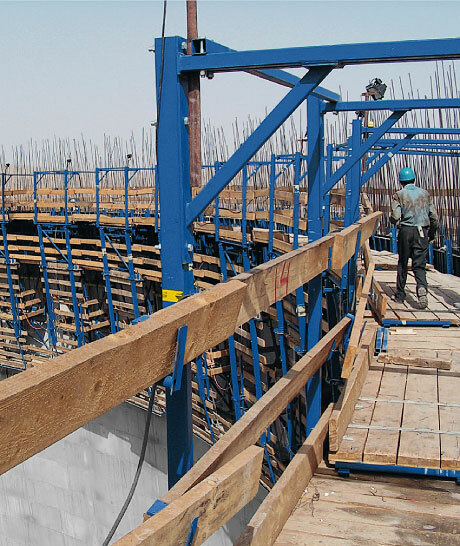 Up to a 22° angle of inclination, the formwork is adjusted simply by the platform system, with one spindle per bracket. Working from the top platform, the reinforcement can be placed a day in advance. The reinforcements are held in position during placement by reinforcement holders mounted on the scaffold. 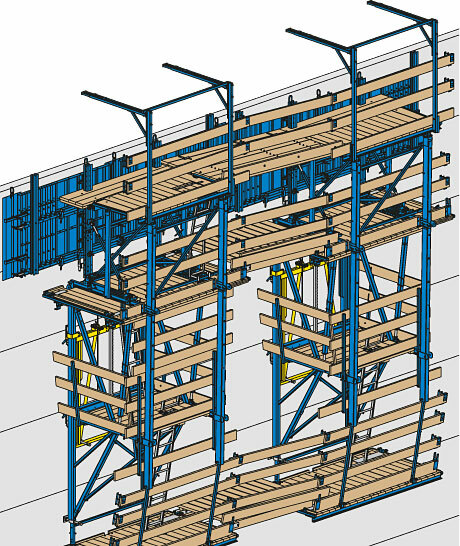 The four platform levels make for a well-ordered construction workflow and safety during all operations. 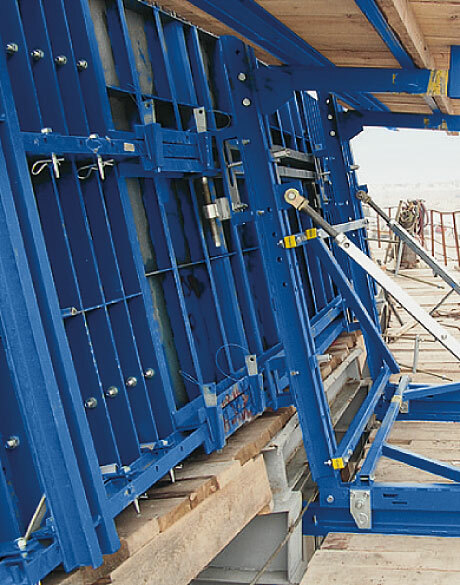 Electromechanical lifting systems are used to raise the formwork, making it completely independent of the crane. 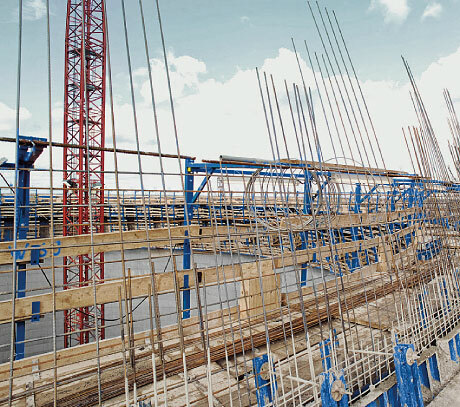 Steel formwork elements with compensating elements on both sides provide adaptability in the horizontal and make for constant concreting results all the way through to the very last casting section. To allow the formwork elements to be quickly cleaned, they are designed so that they can be rolled back approx. 60 cm from the concrete. 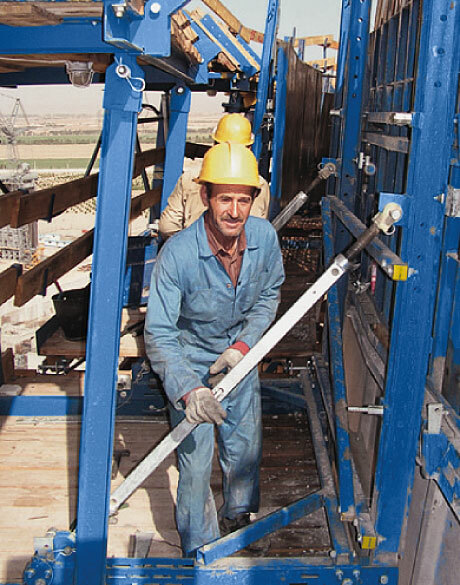 The formwork is opened with the aid of a spindle, and rolled back by hand on rollers. Thank you for your interest - Cooling tower formwork SK175. Thank you very much for your interest - Cooling tower formwork SK175.